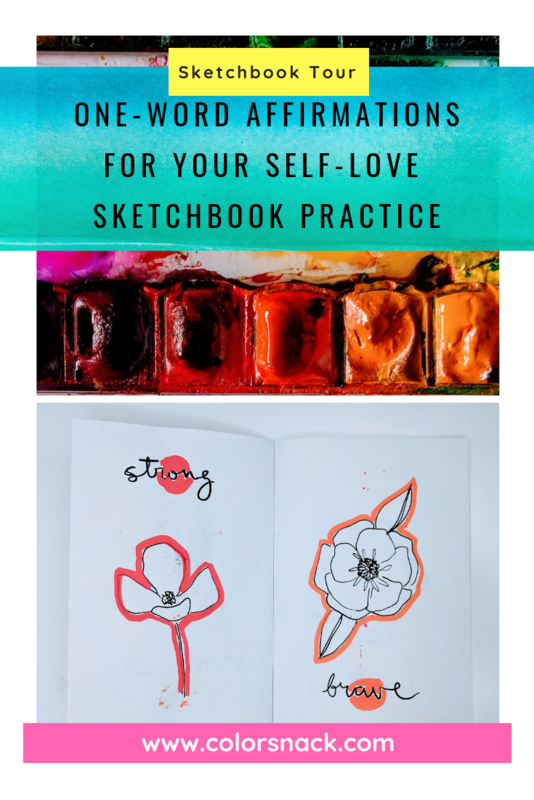 Today’s sketchbook tour is one celebrating all things self love. With Valentine’s day around the corner, I always love to steer this holiday towards one of love that encompasses much more than the romanticized type of love we often read about. 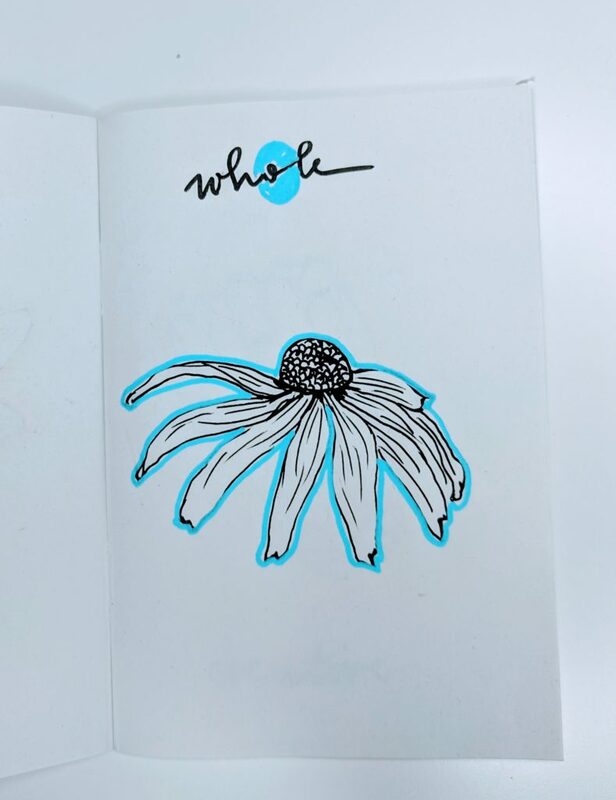 I love using it as a reminder to be kinder to ourselves and practice self love by accepting ourselves, imperfect as we are. 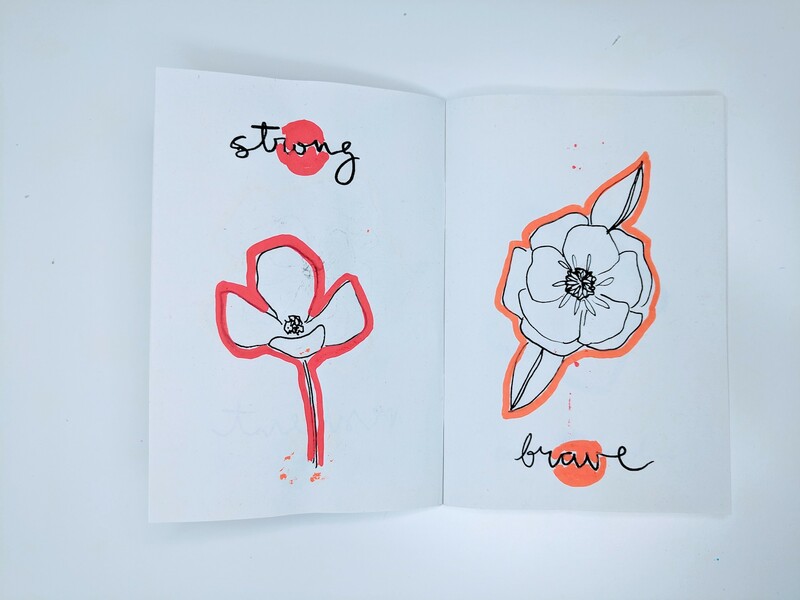 This self love sketchbook includes a list of one-word affirmations that I randomly picked to go along with a flower from Alli K’s latest book. 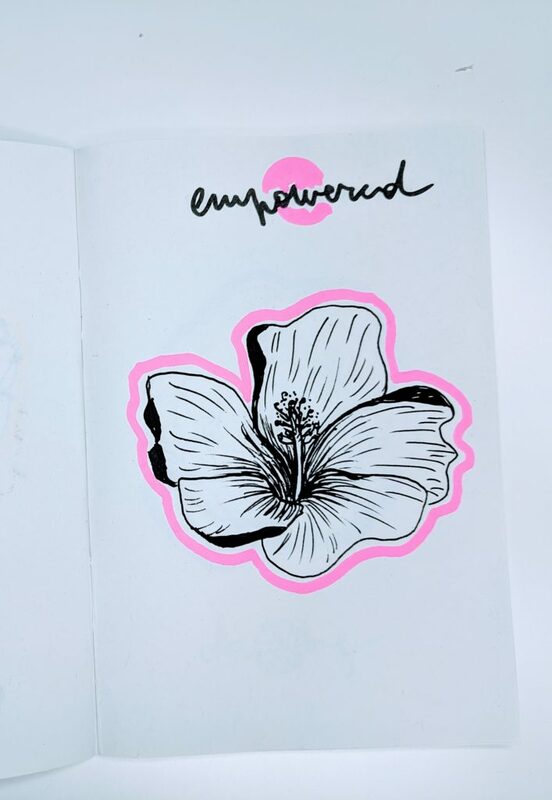 I had so much fun just sitting for a few hours and filling up this tiny sketchbook with floral sketches and empowering words. 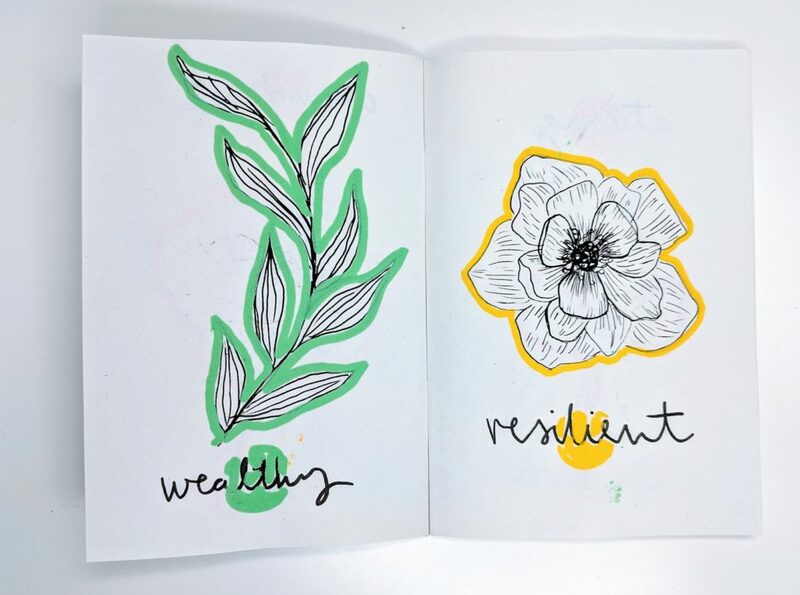 My intention with this sketchbook is to use it regularly and flip through the pages and be exposed and reminded of these wonderful & positive words. There’s real science behind the way your brain interacts with the environment and the more positivity you’re exposing yourself to, the more positive you become as a result. I hope you enjoy this quick tour and maybe it will even inspire to make one of your own!